The first – gross negligence – occurs when the offender breaches their duty of care towards the victim, resulting in death and amounting to a criminal act or omission. In the workplace this covers employers whose long-standing and serious contempt for the safety of workers was motivated by cost-cutting. It could also arise in domestic and medical settings. 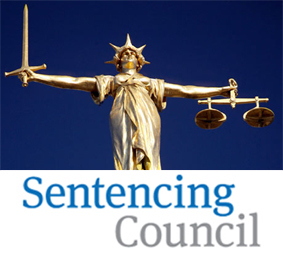 Under the draft guideline for sentencing gross negligence manslaughter, the court would have to decide the offence category by determining the level of culpability and the harm caused. Currently, these cases carry a minimum one-year prison sentence. However, the Sentencing Council is proposing that, if the offender’s culpability is deemed to be the result of a lapse in otherwise satisfactory standards of care, the jail term should be in the range of one to four years (see table below). Evidence that the negligent conduct persisted for a long period of time should result in a jail sentence between six and 12 years under the proposals, while an employer that had a long standing, utter disregard for the safety of employees and was motivated by financial gain (or avoidance of cost) should expect a prison sentence between ten and 18 years. The consultation document highlights that 16 offenders were sentenced for manslaughter by gross negligence in 2014. All were handed custodial sentences that ranged from nine months to 12 years; four were suspended. The median sentence length was four years.